At the Morrissey Law Firm, my general business practice offers a wide range of options in the selection of the business entity form, appropriate and timely tax elections, employee contracts and benefit options, shareholder agreements and buy-sell arrangements. In addition, I am also available to assist in the consummation of transactions, mergers and acquisitions, the orderly dissolution of business entities and other corporate matters. 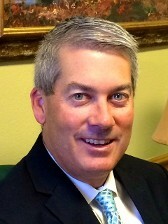 Contact Travis Morrissey of the Morrissey Law Firm at 501-623-7372 to discuss your business needs. I provide comprehensive business law services, some of which are listed here. I help clients identify the tax management, wealth transfer and general liability consequences of various business options. To truly meet clients' needs, I draw upon the experience and knowledge that comes with handling hundreds of diverse business transactions from start to finish.